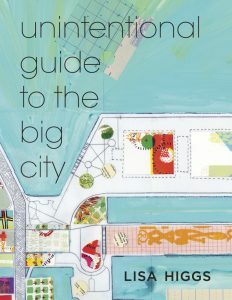 Unintentional Guide to the Big City is a haibun sequence detailing a year of living amid the hustle and blare of downtown Chicago’s Streeterville neighborhood. Short prose pieces and accompanying haiku capture the grit and noise alongside park path and river walks. The poems are populated by international tourists, Michigan Avenue shoppers, neighborhood dog walkers, playground toddlers, and people at home in the city’s alleyways. The 20 sonnets in the chapbook mark the height of the moon and sound the depth of solitude. Partly a reflection on changes wrought by a new century and partly an exploration of the powerful contradictions inherent in motherhood, these poems seek love in all its guises. But don’t just take my word for it. Lodestar is a stunning sonnet sequence that takes as its theme love in its many manifestations. The voice that speaks these poems has a quiet authority about it that I would feel lucky to follow wherever it might lead me as a reader. Because it is not afraid to take on the world’s grief and its injustices, it is a voice to trust, to learn from, and most of all be inspired by. It does not deny the complexities and challenges inherent in love, but neither does it shy away from its deep pleasures. “Life’s ancient net” is what these poems describe. Lodestar is both tribute to and celebration of that mysterious net. —Jim Moore is the author of six collections of poetry, including Lightning at Dinner, The Freedom of History, and The Long Experience of Love. 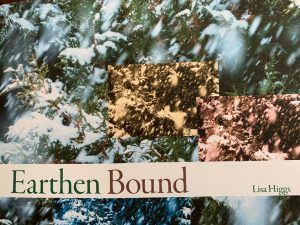 In Lodestar, Lisa Higgs writes: “My need for solitude, a well-worn path” and I considered the solitude this poet needed to write these beautifully crafted poems. I read them in my own solitude, and thought about the “small nations” Higgs explores and makes real in this suite of poems, against the backdrop of the heavens, earth, war, peace, solitude and loneliness. I find it remarkable that she can do such elegant and forceful lines, all the while honoring one of the deep traditions in Western poetry. These poems feel at once hard-won and effortless. Readers will find images and ideas worthy of pondering and reading again and again in this collection. 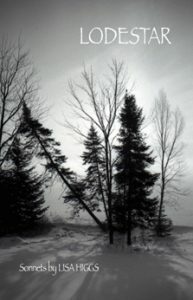 —Deborah Keenan’s most recent collection is Willow Room, Green Door: New and Selected Poems, from Milkweed Editions.